Comment: I would like to get an estimate for We have an office building with 3 suites, and are looking for quotes to help soundproof some of the rooms in the different suites. Comment: We have an office building with 3 suites, and are looking for quotes to help soundproof some of the rooms in the different suites. 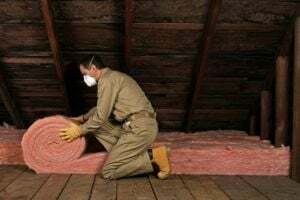 Comment: I would like to get an estimate for attic insulation that needs replaced been there about 20 years. Flexible on appointments depending on pricing. Comment: Gut reno 2 years ago, master is off of of den which is open to kitchen. All kitchen noise travels to master. Comment: We had 200 sqf to an existing structure. We would like to isolate the 4 walls and the ceiling (cathedral ceiling) We have in mind cellulose isolation. We will do the installation of the drywall. Air Rescue Home Services, Inc.
Ridgeland Insulation Contractors are rated 4.81 out of 5 based on 58 reviews of 6 pros. Not Looking for Insulation Contractors in Ridgeland, MS?